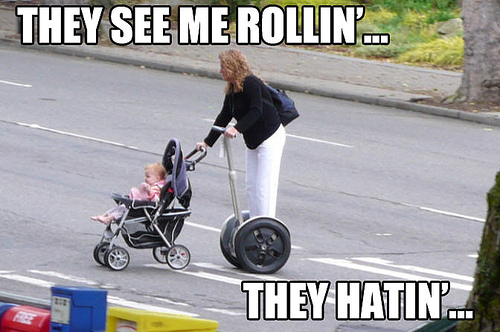 I remember the halcyon days before the technological abortion that is the Segway. Oh, c’mon, Segways are fun to ride. the last time I heard “halcyon” spoken aloud was on the Venture Brothers. and my contrasting admiration for the wit behind the show.